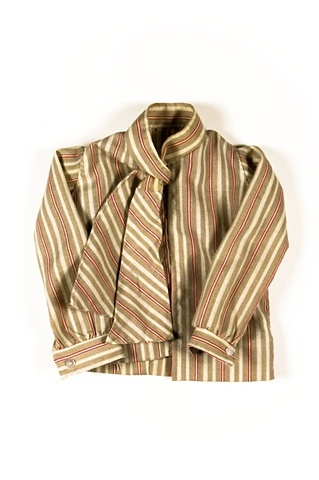 This is a typical blouse that my grandmother Agnes would wear. Many of her clothes were somewhat masculine but with feminine touches. This is also the piece that was utilized in the process piece that was published by FiberArts Magazine in January 2009.